Goodreads: Matilda is a New York waitress by day, but an aspiring author by night – and she loves to write about kickass heroines! So when she meets gorgeous millionaire Chase Adams, she decides to channel them and act on their sizzling attraction! 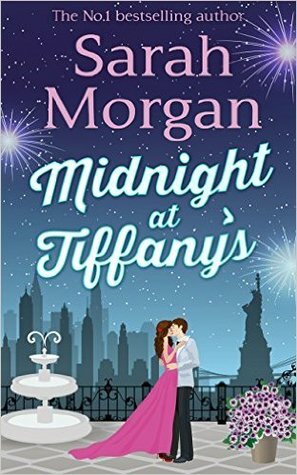 One magical night later, she's living the dream, but will a trip to Tiffany's make it a reality? Kritters Thoughts: A romance novella that was a kick off for a series. I will review book one in the series tomorrow. First let me say that I went into this book knowing that it was a novella and the pages would be limited. Let me also preface that I love a good romance and don't read them often because I like them in small doses, a romance here and there. I did not love this one. I hear the term often in Young Adult reviews - instalove, but it doesn't happen to me often in my reading - it did in this book. I sneezed and these two hoped in bed and spoiler were talking marriage. I did love how they met and their first date, but I wish the author had used more pages and maybe bumped it out of novella status and created a fuller story. I did enjoy meeting these characters before book one takes off, but this could have been book one and been a full story on its own. I did continue with the series and you will see a review for book one, spoiler, I loved it!